Travel Documents: Citizens holding valid passports from the following countries are permitted to stay in Costa Rica for 90 days without a visa; Argentina, Austria, Belgium, Brazil, Canada, Denmark, Finland, France and dependencies Germany, Greece, Holland and dependencies, Hungary, Israel, Italy, Japan, Liechtenstein, Luxembourg, Norway, Panama, Paraguay, Poland, Portugal, Puerto Rico, Romania, South Korea, Spain, Sweden, Switzerland, Trinidad & Tobago, United Kingdom, United States of America, and Uruguay. Check the updated list of approved countries (in Spanish). This document is an official publication of the “Dirección General de Migración de Costa Rica.” Group one can enter and stay up to 90 days do not need consular visa. Group two can enter and stay up to 30 days, renewable for up to ninety days, no need consular visa. INSIDE TIP! – If your passport has less than 6 months before it expires, you may not be allowed to board the airplane. Check with the airline to see what their policy is regarding passport validity. Airlines with daily flights to Costa Rica from North America: American, United, Delta, US Airways, AVIANCA and COPA. Sansa and NATURE AIR are the airlines that offer daily domestic service to the principle tourists’ destinations throughout the country. Passengers are permitted 25 lbs of luggage; cancellation and date change fees apply. Charter flights are also available. Credit Cards/Automated Tellers: The most widely accepted credit cards are VISA, MASTER CARD, and AMERICAN EXPRESS. A network of automated tellers is in place throughout the country serving almost all types of international credit and debit cards. CIRRUS and PLUS networks are supported. Health and Water Quality: The tap water in the San José metro area is excellent quality and safe to drink. In some remote areas of the country it is recommended to purchase bottled water. The health care system in Costa Rica is very good and most cities and towns have clinics and hospitals equipped to treat anyone in case of an emergency. 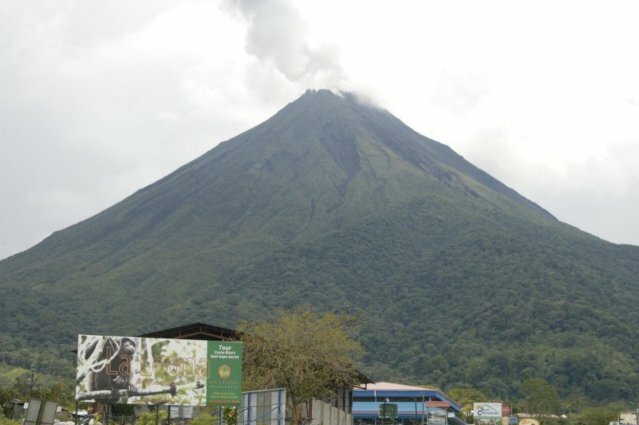 Climate: Costa Rica has two seasons: green and dry. The green season starts about the end of April and lasts until about the first week in December. The rest of December through April is mostly dry, although the occasional shower can occur almost any day. The temperature in the Central Valley (higher elevation) averages between 70º to 80º most of the year but evenings can be cool in the wet season (sweater is advisable). In the lower Atlantic and Pacific regions the temperature is similar but the humidity much higher. Telephones: Public telephones are efficient and inexpensive. They are prepaid phone cards with the access number 197 or 199 printed on the front. Public phones can be found anywhere in the country. Currency and Exchange Rates: The official monetary unit of Costa Rica is the Colón (pronounced co-loan). Official exchange rate could be verified directly at the Banco Central de Costa Rica. 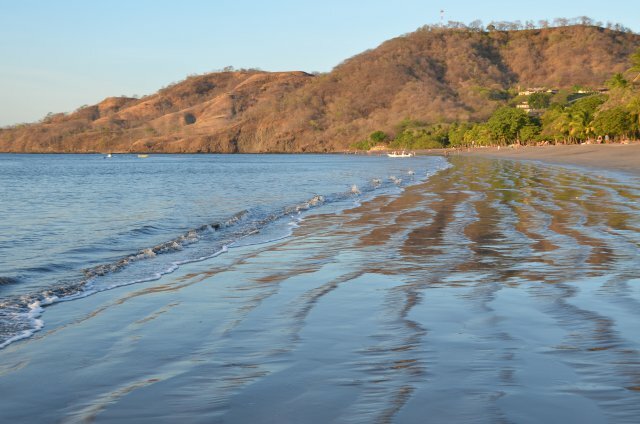 Clothing: Costa Rica is a land of over 1,000 micro-climates. You can experience everything from dry desert conditions in the far north (shorts and a short-sleeve shirt), extremely heavy rain in the cloud forests or tropics (rain gear, all-weather hiking boots) and even chilly weather (sweater or light jacket) at the higher elevations (such as at the top of the volcanos Irazú or Poás). Take into account your itinerary and be sure to pack according to the specific needs of your route. Cosmetics/Skin-care: Ultraviolet rays from the sun are much more intense as you move closer to the Equator. Sun screen is essential! 15 minutes in the Costa Rican sun is like 45 minutes in Florida. You will burn fast. If you have a favorite skin care product – be sure to bring it. Many brands are available here also. Industrial strength insect repellent is a must if you plan to visit rural areas outside the Central Valley! To enjoy the beauty of the tropics you must also endure a few bugs (mostly mosquitos). “OFF” and other major brands of repellent are available from local grocery stores and pharmacies. If you plan on hitting the jungle trail right off the plane – bring some with you as you may not be able to find any repellents or sun-block products in more remote locations. Photos/Bird watching: Obviously, if you are visiting one of the most beautiful countries in the world, you will want to bring your camera and lots of film. Camera experts will want telephoto and wide angle lenses to capture the intimate details of the flora and fauna. Film developing is more expensive in Costa Rica and only a few places offer the CD option for digital. Small binoculars come in handy when you hear the howler monkeys or if you are in any forest location (even along the coast). It is not uncommon to see white faced monkeys, toucans, parrots, howlers and iguanas in many of the locations you will be visiting.